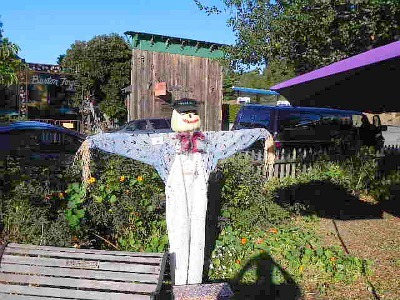 A visit to Cambria, California must include a stop off at the Cambria Museum. This unique old house is both interesting and informative. When I first moved to Cambria the old house was just an old, run down house which seemed out of place. It looked like an old shack you would see in the Mississippi delta. After a complete restoration it is a wonderful addition to the enchantment of this beautiful little town. The history of the Guthrie Bianchini House is in interesting. The house was built in 1970 by Thomas Clendinen. I am told the house was in probate court for years and finally bought by the Cambria Historical Society. Joyce, a good friend of mine is on the board of the Historical Society and she is extremely proud of the all that has been done to the property. For several years I watched as the house transformed. Today, It is really cool to watch the tourist browse around the property. 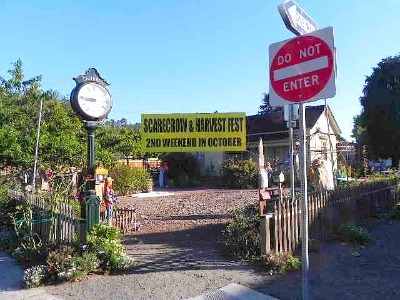 Recently, the house was the center of attention during the Scarecrow and Harvest Festival. If you would like more information on the Cambria Historical Museum Click Here.